It speaks to us as a warning today. 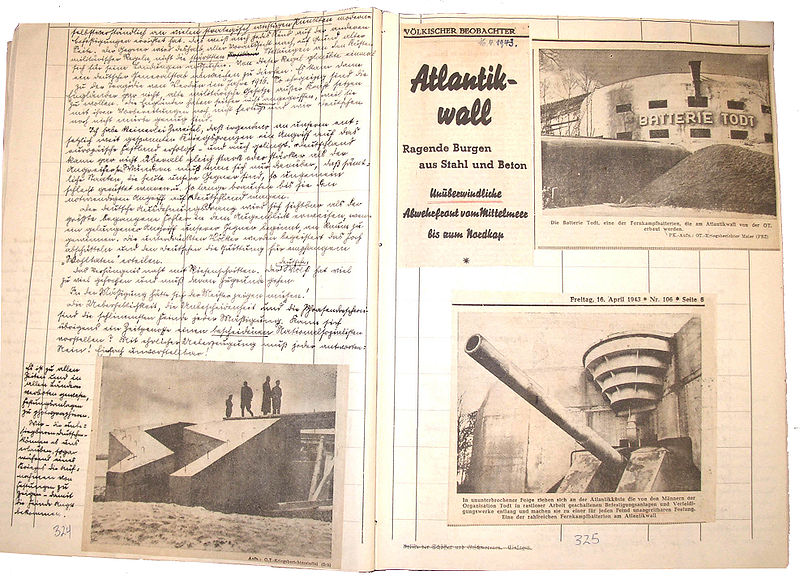 Friedrich Kellner, a courthouse administrator in a small town in central Germany, began his diary on the day Adolf Hitler sent the German Wehrmacht into Poland. He knew the risks in such an undertaking, but as a former Social Democrat who had campaigned against the Nazis before they came to power, Kellner deeply felt the necessity to expose Nazi crimes, record the public’s approval of their Führer and the Nazi Party, unmask the truth cloaked by Joseph Goebbels’s propaganda, and also lay bare the Allies’ many lost chances to prevent the war. Above all else, Kellner wanted to be sure future generations would know the terrible consequences of not defending their individual liberties against totalitarian ideologues with anti-democratic agendas. Called a Jahrhundert-Dokument by the German press when it was published in its original language in 2011—a vital historical document that helps to interpret a particular era—Kellner’s observations shine an uncompromising light on our own era as well. 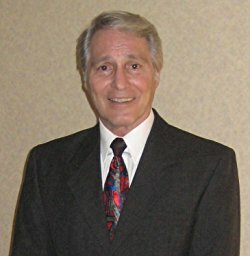 It is impossible to avoid the disturbing parallels between then and now: the resurgence of a menacing totalitarianism; the use of terror to bring political change; the bombing of residential areas; the indiscriminate murder of women and children; obliterating historical buildings and monuments; declaring that their victims were responsible for the attacks against them; and resorting to the age-old stratagem of blaming the Jews for everything. To forge their master race and master nation, the Nazis placed young boys and girls into pre-military youth organizations. “At ten they feel the breath of militarism and are not released from its claws until the mass grave,” wrote Kellner in April 1943. Seventy years later similar iniquities are with us in the child-soldiers in the Central African Republic and children fitted for suicide vests in the Hamas camps in Gaza. On more than one occasion Kellner came close to being sent to a concentration camp himself for speaking out against the regime. 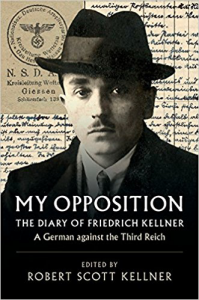 “Kellner’s attitude exerts a bad influence on the population,” a Nazi official named Ernst Mönnig wrote, “and he should be made to disappear.” Kellner’s wife, Pauline, who refused to join any of the Nazi women’s organizations, would be imprisoned with him. To protect her, and to remain free to finish his self-imposed task, he restricted his thoughts to his diary. However, he collected leaflets dropped by Allied bombers and surreptitiously placed them around town and at the train station where he knew Nazi Party members would be. “I placed them where wavering Party members would find them,” he explained. Among the hundreds of newspaper clippings pasted into his diary are several announcing court judgments against people caught with leaflets: they were all death sentences. Despite that, Kellner would not let the Nazis have the last word.